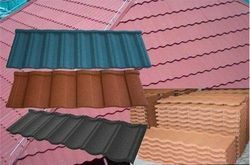 We have in store an exclusive range of pre-painted aluminum trapezoidal sheets that is designed and developed for numeorus industry applications. Made using pre-painted aluminum, these trapezoidal sheets can be used for installation in accordance with the color of interiors. 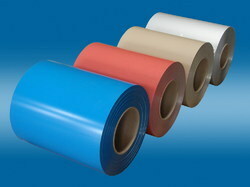 Durable and resistant to corrosion, these sheets have become the preferred choice of our clients. We are engaged in offering to our customer a wide range of prepainted aluminum. i need pre painted aluminium sheet or coin .